If Carlsberg did Business Support…..
COULD YOU HELP TO CREATE THIS FUTURE? OR IS THIS JUST A DREAM ……………………….. When I met John Dunn for the first time along with his lovely wife, what most impressed me was his sheer determination and drive to get this new business started. To get to this point in his life John has had to overcome huge personal difficulties including a long period of ill-health. At age 17 John had a successful window cleaning business in Bentilee with a very healthy list of commercial clients including Sainsburys and local care homes. All was going well until some years later when following a breakdown and a series of mini strokes, John became unable to work. With the support of his family, his GP and the Community Nurse, his situation began to get better, setting small targets to begin with and making steady progress until he finally became fully fit to work again. 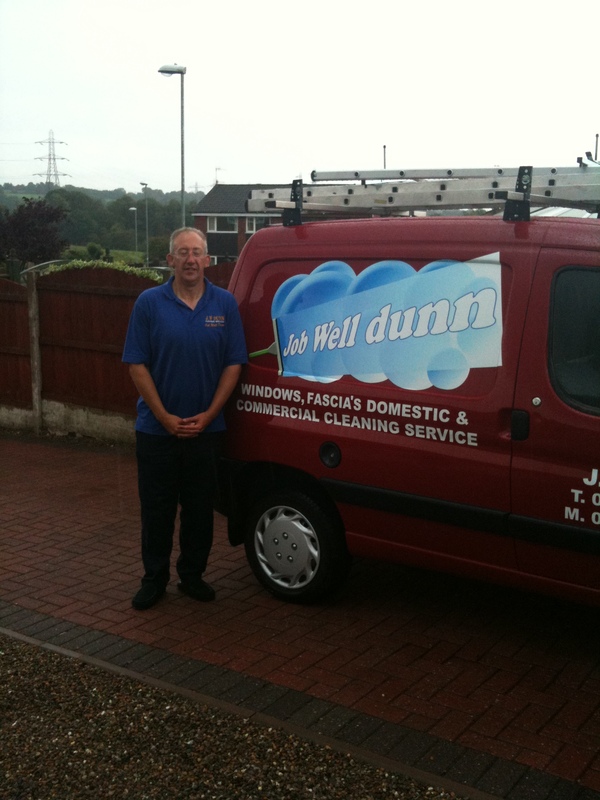 John knew that with his previous experience and knowledge he could start again, with renewed strength and optimism for the future John has started his business “Job Well Dunn Cleaning Services” which offers a cleaning service including Domestic and Commercial cleaning, Windows and Fascias. Another local business that has just started is “Ultimate Building Solutions”, owned by Adrian Gilling. I was talking to a couple of Adrian’s constructions skills tutors and they have such high praise for him, his work is exemplary and they also commented on how it’s lovely to train someone who so clearly loves what he does, and he’s always smiling! Ultimate Building Solutions can cover most aspects of building and property maintenance including; Joinery,Plastering, Electrics, Tiling, Plumbing and Heating, Painting and Decorating. Quite an impressive range of qualified skills. I have already booked Adrian for work on my house and I’ll guarantee that very shortly he will have a waiting list of clients, so get in touch with him early. Very recently, thanks to Staffordshire University and their support of the Bizfizz project, a short course (5 weeks) was held at the Arts Media and Design Faculty for a group of Bizfizz clients to learn how to use the free tools on the internet to create websites for their new businesses and how to use social media for marketing. Many businesses now need to consider how their business model needs to change or adapt to ensure that they are taking full advantage of the Web and how it can easily and cheaply, offer them markets they previously didn’t reach. Adeptly facilitated by Clare White and Carl Plant, and assisted by Lou Reynolds and myself, the clients embarked on a real journey of discovery. Whilst there was a considerable range of skills in the room, none had attempted settting up their own sites and connecting them in a way which would deliver any kind of meaningful web presence. Some were a little nervous about the weeks ahead, but nevertheless enthusiastic and attentive. 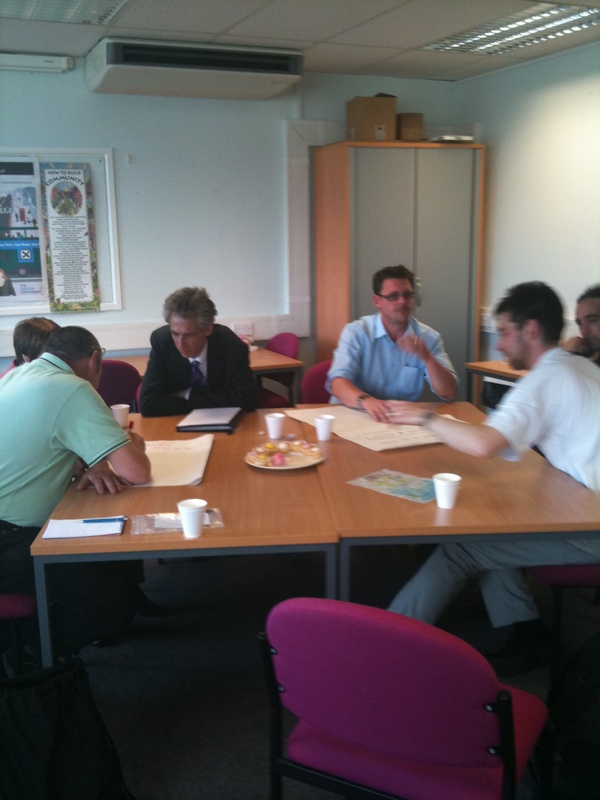 Each of the sessions gave one more piece of learning which built into the clients whole web profile. As with so many people new to these tools, they were delighted at what was available out there and how simple much of it is. Firstly, June Bentley. Like so many, June was fed up with redundancy and lack of job opportunities locally, yet possessed skills which she could turn into a small business having been a machinist for over 30 years. June can undertake anything from wedding dresses to upholstery, soft furnishings and alterations, all of which she does beautifully. It is Junes dream to open her own shop, which, all being well, she hopes to do within the next 12 months. June set up her Twitter profile @sewgood, and then found useful sites for offering her bespoke products (a range from handbags to wedding accessories), explored ways to create a small website (currently under construction) and gave a wonderful presentation at the end of the course on what she’d learn’t and how she could use it. Already June is using the internet much more confidently, and is no longer afraid of anything online, a terrific outcome. June can be contacted on : 07934 334975 for all your sewing needs! After spending a short spell as an unemployed sales representative and finding it difficult to get back on the ladder where I left off I was made aware of Loxos through one of my Fathers contacts and quickly decided that I would try my hand at selling this exciting, high quality product; professional changing stations which are designed to withstand all high traffic areas such as Child Day Care Nurseries and relevant hospital wards. The model range covers from newborn through toddlers and up to age 4 – 5. After a trip to the factory in France in late 2009 with my sales and marketing pitch in hand I was successful and signed contracts to cover all sales for the UK and Ireland in January. After a cold winter converting an old barn at my parents house to a rather nice office I was able to begin my sales and marketing campaign (ongoing) in March. Since starting in early March we have been lucky enough to have made our first few sales and are beginning to see hits to the web, and also enquiries increase steadily which should hopefully, with some hard work, convert to sales. Our first hard copy advertisement will appear in the July issue of “Flying Start Magazine” for all those in the industry to see……. conversion to sales remains to be seen!! I have also been working long and hard at marketing the EarlyQuip name through a combination of e-mails and phone calls to day care groups, independent nurseries, architects, construction companies, schools and anybody else I have found that may have a need for one of our stations. We are also now in negotiations with a Bristol based company whom have a history of supplying similar goods to NHS projects which will be the place to find our much needed volume sales making it a very important area in which to be specified. With the help of BizFizz and Staffs University the name “EarlyQuip” can also now be found on Twitter and blogging at WordPress.com to try and increase awareness of our products and also give others an insight into the man behind the business as well as the business itself. This activity has helped increase my online networking activity as all new contacts may have a new and very important piece of information that leads to new business!. With a little more work all these sites will be linked to each other to ensure all paths lead to the (once) lonely Island that is my main web page (www.EarlyQuip.com). The course for me has been very helpful in helping me understand what is really out there in the social media (business) world so I try to do a little each day to ensure that I am not left behind when trying to aquire the constant market information needed “straight from the horses mouth”. With a mountain to climb I now find myself only a couple of feet from the base but now armed with the tools I need and with a much clearer path to the top !! Baby steps , baby steps !! Shay Side – Elkstones – Longnor – Buxton- Derbyshire- SK17 0LS. I was approached by Fegg Hayes Sports and Social Club to assist them with building up their club and opening up new avenues of income and activities. 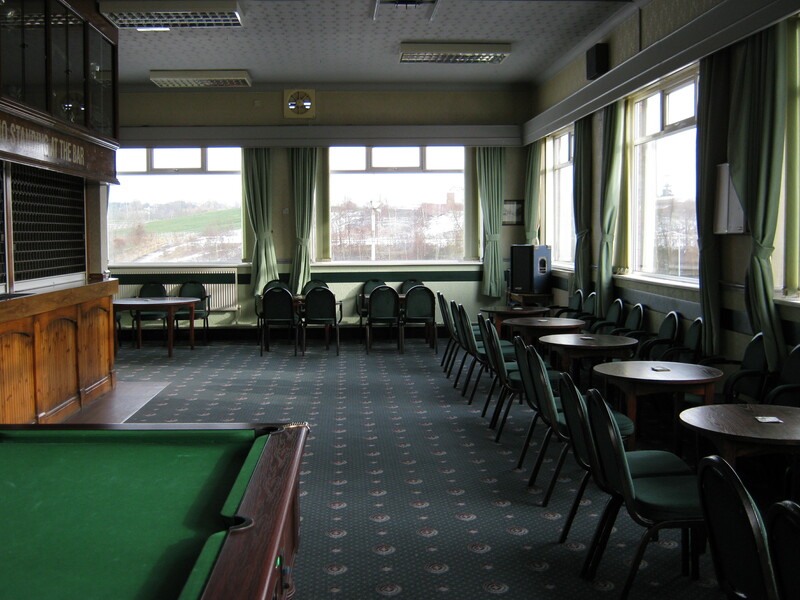 Situated on Oxford Road, Fegg Hayes, this club is situated in the heart of the Fegg Hayes residential community. It has really excellent facilities, albeit a little dated, but none-the-less good. With a wholesome adjacent car park, it’s a really good venue for meetings, no traffic to contend with and no worries about parking tickets. There’s a small stage and a bar and the seats are very comfy too! 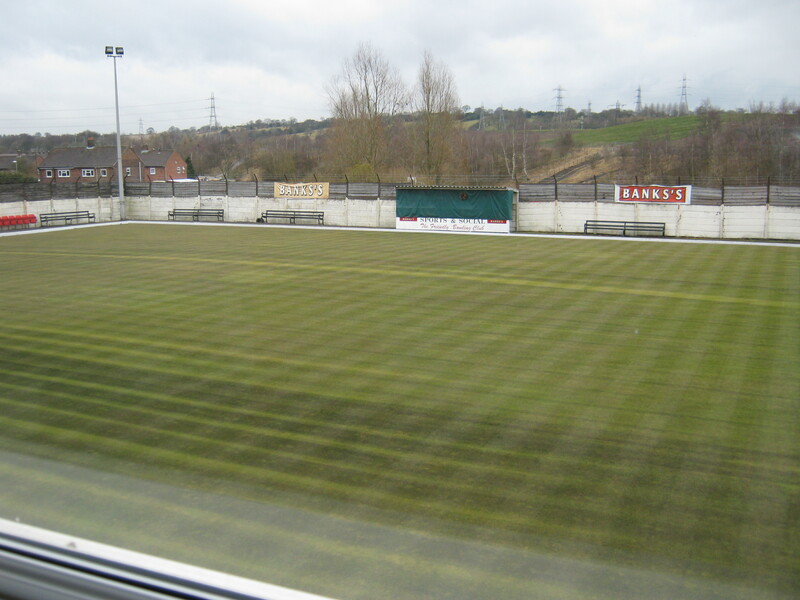 The club is working really hard to bring its facilites up to date, to provide things of interest to the local community and to attract new members. It’s no mean feat. Many clubs around the country like this one have closed owing to dwindling membership and changes in how people spend their leisure time. Here at Fegg Hayes the committee have grasped the nettle, and with support, are working steadily at bringing new events. The club is soon to be the home of the Fegg Hayes Residents Association too. 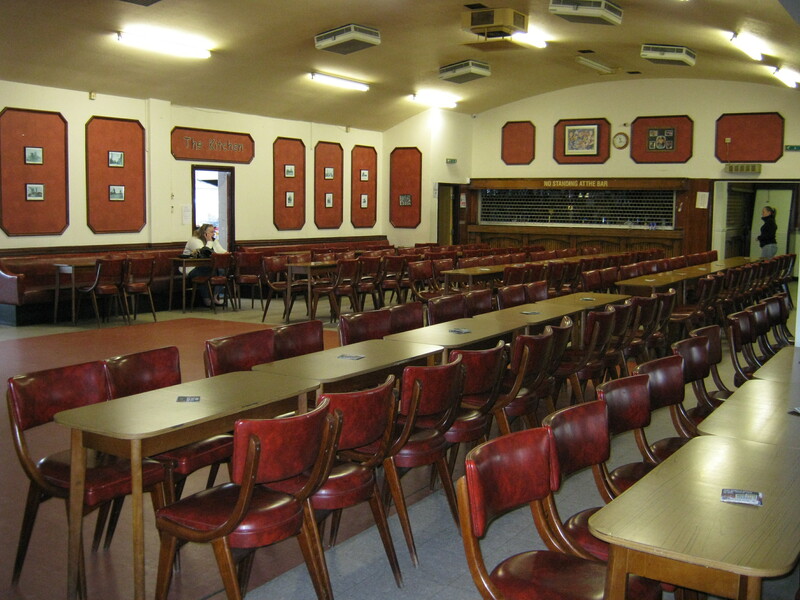 If you are in Stoke-on-Trent and need a venue for something, whether it be a meeting, a wedding, a daytime activity, or you have a group or club that needs a venue – look no further! Here it is. Bookings can be made by ringing 01782 827669. Please note, this post is written from my personal perspective and does not seek to represent the views of any individuals or organisations I am associated with. I followed the National Digital Inclusion Conference over the last two days via their (excellent) live stream and found it quite thought provoking. Whilst I was involved from ‘afar’, it did appear that there were a number of people who were very good speakers, but didn’t really know how to tackle the issue of those members of society who are very much on the periphery of such things, the so-called – Excluded. Maybe we should be looking more closelyat the reasons why there are members of our society who are excluded. Beware, some of those reasons may prove unpalatable to some! Ok, the older age group (and I’m one), that’s easy, we weren’t around all this technology stuff until late in life, we have had to learn it from scratch and it doesn’t come naturally to us, that is until we get it – and then, we really don’t stop and, given the chance, will encourage others to get online. The committment by Stephen Burns, Community Services Director, Peabody, to take the tools to connect those in care homes is great, I’m sure it could also connect the generations if the families were encouraged to be part of this learning process. It was interesting that Tom Wright from AgeUK was worried that the ‘Geeks will rule’. Well, maybe they will, and maybe we need to pay attention to people whose agenda is not necessarily political, who share stuff and create stuff and continually question whats ‘useful’, rather than take the time trodden path of ‘doing what we always did’, because you know how the rest of that one goes. Jobcentre+ took the opportunity to launch its app for iphone, yes, great, I tried installing it (I am lucky enough to have an iphone), and I couldn’t because you need to new 3.0 software which I cannot afford to upgrade to. How many people who are unemployed have iphones? How many unemployed people did JC+ talk to before doing this? Most of the people I know without jobs use pay-as-you-go mobiles since its easier to manage their money that way – they cannot afford monthly bills. Have you seen the price of an iphone on PAYG? About £300! I rest my case. Tom Loosemore, Head of 4ip, told us how he spoke to some people outside a Jobcentre about the new iphone app, apparently they weren’t impressed! There was much talk about how businesses, and DirectGov could supply essential services online, all of which could no-doubt streamline and simplify some application processes. Interestingly, the figures Jeremy Hunt, Shadow Minister for Digital Britan, supplied for the numbers of forms, questions and duplication that one person he’d met had to fill in to claim the 8 benefits he was entitled to, was surely a strong case for supporting a ‘single stream’ application process for things like benefits and maybe pensions. However, a prediction! Remember when businesses discovered the much reviled telephone systems that mean we now have such difficulty speaking to a ‘real’ person? (I had to go through 7 number selections recently to speak to someone at Royal Mail, and don’t get me onto BT or British Gas), we must be very careful about processing everything online. The systems should have good facilities for those who will need to speak to someone. Providing online services should not be an excuse to cut frontline services. If you need to ask a question, there should be someone there to answer it, also not forgetting those with difficulties which may not allow them to complete online applications. And, of course, all this can only work if everyone has access to online facilities. Back in the ’80s, my employers decided that I should have a car phone installed. At the time, I couldn’t see the point, I had a phone in the office, was I really going to want to speak to people as I drove around all day? I remember my son, a teenager at the time, saying what a great idea it was. I wasn’t convinced. Then, said phone was installed, and it was terrific, I didn’t have to spend hours at the office in an evening returning calls when I could just take them as I was travelling, it saved me so much time. I could also keep in touch with my office (I was a lone worker) so my safety was improved too. The point I’m making is, I needed to have it’s benefits demonstrated to me before I could see how it was useful to me. It’s the same with people getting online. There has to be a reason, and that reason could be anything. The unpalatable bit is, those in our society who are excluded, is because they are excluded. No job, no prospects, can’t afford interests or hobbies, society has let them down, they feel abandoned, left out and hopeless. They will need a better reason than being able to fill in benefit claims and jobseek for non-existant or poorly paid vacancies to get them online. I love the internet, but we should remember that until the content has a use it is just information. Until we can discover what might inspire someone to become interested in getting online, then we might as well not waste time and money. This is where the wonderful Talk About Local (@talkaboutlocal) project has been able to create such an interest, and is building communities and inspiring a new passion in people. It’s demonstrating how people can use the online tools to make their communities better, that, in turn, is creating interest and renewed vigour in community activism. It’s a wonderful model of one way of creating this inspiration. That is a question I am sometimes asked, and I am not going to answer it quite yet. To those of you reading this who thought you knew what I did, read on – you may be surprised. When I began this project three and a half years ago, even though I’d worked in and around Stoke-on-Trent for over 20 years, I needed to make new connections to add to my existing ones. As the project does no marketing (except when it’s about clients), to spread the word through word of mouth meant doing just that, meeting as many people as I could who could help and support the clients and, gathering as much information as possible about ‘who does what’ in the City in order that clients could benefit from quick and accessible links to information/resources/help that they needed for their businesses/projects. Bearing in mind that the Bizfizz project in an area (in this case centered in Burslem, but Stoke-on-Trent really), comprises just one person, in this case – me, no support staff, admin assistants etc;. it is down to the project facilitator/coach to ‘build’ the project and deliver it; creating a huge amount of new contacts could prove daunting, yet it wasn’t. I found that, whilst I ‘needed them’ for future clients support, they also found a benefit in me – namely that I could inform, connect and spread information that was ‘useful’. Whilst Bizfizz sets up support networks for clients (see the About Bizfizz page for more), this must not in any way be confused by networking, that’s a whole different animal. The networks Bizfizz forms are quite organic, unstructured and free to evolve, it is this which makes them so effective. They can change shape and re- form to meet whatever particular need arises. Some people think that networking is connecting -it’s not. It’s networking. Sometimes it’s selling, sometimes it’s giving information, but it’s not connecting. In a City of around 240,000 people with some of the highest areas of multiple deprivation in the country, it should come as no surprise that communications throughout the entire community were limited, and yet, it is this disconnection which I believe is the real key to the regeneration process if it is to succeed and reach those most in need. Often, mainstream organisations produce ‘magazines’ and other written material to be posted through the letterboxes of residents. Mostly these only serve to further divide the population because there is no clear link between those featured and those recieving them, and sometimes they are just blatant PR for the organisation (aren’t we clever/this is how we spend your money etc.) and the public clearly sees that. It might have been better if someone from that organisation attended the local car boot or market and chatted to people passing on information in a direct way. Anyway, that’s for another blog entirely. What we end up with are small groups of people who are very similar, and there are only a handful of individuals in any given society who brigdge those gaps . If I wanted to set up a programme to address social exclusion I would not try to address the bulk of the group because most of those resources would go to waste, because most of the people that people know are other people like them. I would fund the people who are bridging the structural – I would find the people who knows someone in in council housing and someone who is living over in Belgravia. I wouldn’t fund the people in Belgravia or the people in council housing to just get together and talk to one other. I would find the people who are naturally bridging that gap somehow. I would give them the tools specifically designed for the connection or social bridging function that’s different from just what that everyday user might have. I think you could move more information, awareness, empathy, sympathy or what have you across those otherwise relatively unbridged gaps by funding the natural bridgers and strengthening them rather than trying to build new ones from scratch. What I have found interesting is that so many of the people in organisations I have met thought that because they went to networking events, they had got this business of connecting covered. Well they haven’t, because until you begin to discover what the real driver is behind a person/group or organisation, you cannot begin to know what they need to be connected with. It may just be connecting anybody to anybody, this isn’t about protocol and communication strategies, it’s about somebody needing something connecting with someone else with the answer or the route to the answer, sometimes it’s about collaboration, sometimes it’s sharing stuff, in fact, it could be anything! Whilst this role of connector has earned me the nickname ‘mobile Google’ locally, it began as a byproduct of the Bizfizz project; one of those amazing outcomes so difficult to describe to funders and those so wholly output driven. Yet is is probably one of the most vital and productive functions that can be fulfilled. Connectors have to be independant, free to roam and without agenda. Bizfizz, because of the way it is operated is fulfilling this function (if it has an agenda it’s only to continue connecting, for the good of the clients, but, of course, it doesn’t stop there, it connects to assist anyone) but when this project stops, as it will, what will become of this role? Will anybody recognise the true value of this function? Maybe you have some thoughts on this? This is a true story that happened just two days ago to a close relative of mine. I decided to post it because to me, it represents all that is bad in customer service. My relative, Jon, has been looking for a particular car for over a year now, it’s a high performance sports car and he had some very specific specifications in mind. On one of his many searches, he found the car he wanted, advertised by a garage on ebay. As luck would have it, the garage, although a fair distance from where he lives (London) was just a few miles away from his sister, near Derby. He asked his sister to visit the garage and check out the overall condition to see if it matched with the garage’s description, it did and he was delighted. Within a couple of days he arranged for an independant mechanic linked to the cars manufacturers to carry out a detailed report, this was expensive, around £300, but given the sum he was paying for the car was very sensible. The report was favourable and Jon immediately caught a train to Derby to view the car and pay a deposit. Rather than take a train back to London, he borrowed his sisters car for the journey back as he was returning to collect his new car within just a few days. Two days later, Jon set off from London with a friend for company, to collect his prized new car. The garage were fully aware of his imminent arrival that afternoon. Then disaster struck, his sisters car had a blowout some way up the M1, and much to Jons horror, found his sister didn’t possess a jack to enable him to change the wheel. The only thing he could do was ring the AA to come and help. It was getting late in the afternoon now, it was dark,very cold, had started snowing and all Jon could do was to ring the garage, explain what had happened and assure them that he was definately going to be there. The response from the garage was ‘Well we close at 6.30’. Jon couldn’t believe it, he asked if he could send his sister to collect the keys and wait next to the car until he got there – they said no. All he could do was hope he arrived in time. At 6.29 Jon arrived at the garage, to be met by the sight of the security guard closing the gates. The guard was apologetic and tried ringing one of the sales team, but they refused to come out. Astonished and angry, Jon and his friend had no choice but to stay the night at a local hotel and return for the car the next morning at 8.30am. I will not publish what Jon had to say to the garage the next morning, I’ll leave you to imagine that. It turned out that the person who went home (early) was the Sales Manager! I’m glad he’s not managing my sales. If Jon hadn’t already paid for the car and invested additional money in train journeys and mechanics reports, he would probably have walked away from the purchase (it is a very expensive car), the garage would have lost a sale, which they certainly deserved to, but he couldn’t do that – perhaps they knew that? Would it have been so terrible for the sales manager to have waited a few minutes? Or, as it turned out, waited until the closing time of 6.30, he knew the customer was on his way and having a terrible journey, but hurrying on his way as fast as he (legally) could. A business that takes this approach to it’s customers doesn’t deserve the business, they made (an educated guess) quite a considerable commission from this sale, yet they treated their customer as valueless, they clearly haven’t considered the implications of treating people this way. Business today, in order to survive and grow, has to be relentless in it’s constant review of customer service. It’s not good enough to simply meet customers needs, businesses have to exceed customers expectations if they are to grow. Uniqueness alone won’t do it either, you might say laws of supply and demand might kick in here if the product or service is truly unique, and maybe if they were it might. However, for 99.9% of businesses they are in strong competition within a commercial world and cannot afford to treat their customers with anything less than wholehearted priority. How can you have a business with no customers? That is the end result of not competing on the matter of ‘value’. How the customers feel valued and how they in turn value the service and product of the business. The interesting twist to this story is, the garage may have thought it unimportant to annoy one customer, and he was from London anyway, a long way from the garage. What they don’t know is, Jon’s sister actually runs a pub just 3 miles from them, and several of her customers are also customers of that garage. It is likely that she will tell the story about how her brother was treated. I wonder how those customers will view the garage and their services after hearing what happened, it is possible that it may affect the relationships they currently have with those customers. All businesses should remember, it’s a small world and good reputations are very hard to build, but can be very quickly lost.